Add this locking caster to our tables. 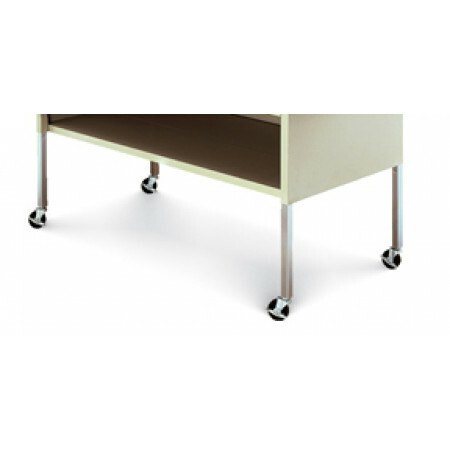 Locking casters allow you to move your table away from the wall for cleaning. Perfect for mail room, mail center and office applications. **Note: Casters are light duty and designed for moving table out from wall for cleaning purposes only. • Black 3" swivel casters. • Wheel locking plate located on side of caster. • Zinc-plated finish for corrosion resistance and appearance. 1/4" Dia. Post - fits up into table leg.